What do you do with your old mattress? Simple have it recycled! We offer curbside or in-house pickup for all types of mattresses, including waterbeds, foutons, or hide-a-beds at your home or business. Don’t want to leave it on the curb, no problem we will collect it from your house or garage at no extra charge. No need to haul heavy equipment around, let us do the hard work. We make it easy by offering online mattress and appliance recycling scheduling and payment for your mattress pickup. It is an easy 4 step process which takes less than 60 seconds to complete. Don’t wait any longer schedule online today and forget about it. Are you in a hurry? Need same day curbside mattress pick up? No problem, we have you covered, simply schedule the pickup online and selects today’s date and we will take care of the rest. In addition to our standard residential recycling pickup in Portland Oregon, you can also count on us for all your commercial large volume mattress recycling needs. We also collect old washers, dryers, stoves, microwaves, water heaters, bicycles, and much more. 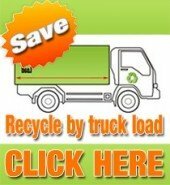 Click here for an extensive list of items we recycle. There may be a Freon surcharge fee for appliances such as refrigerators, freezers or air conditioner containing Freon. Working units are sometimes donated to charitable organizations in the area. *Please note: We do not accept hazardous material and perishable food items.